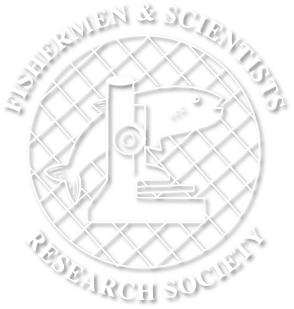 As part of the society’s mandates and objectives to promote effective communication between fishermen and scientists, the FSRS has taken on a contract partnership with the Eastern Shore Fisherman’s Protective Association (ESFPA) to carry out conservation work and research on their behalf. The fishermen of LFA 32 and 31B created a conservation project in 2000 to help efforts in conserving their lobster fishery. The project would be part of the license conditions of fishermen in these LFAs and required fishermen to submit female lobsters to be v-notched and released each season. Any lobster caught with this mark was deemed ‘illegal’ and to be thrown back. This project was to help improve the mature female population of lobsters to ensure the reproductive individuals were not removed from the population. This project was a response to DFO announcing that it was going to change the minimum legal size of lobsters. Unhappy with this decision, fishermen decided to try v-notching each season. This conservation project stuck and is still practiced today with FSRS technicians attending appointments to assess lobster for proper weight, number, size and overall health. During the season fishermen keep a detailed log of any v-notched lobsters they catch in their traps. Each season FSRS technicians measure all lobster, crabs and fish caught in fishermen’s traps. During these sampling trips, FSRS also records data on environmental conditions, bait used, and number of traps hauled. This helps to provide information for catch per unit effort analysis on specific species, such as lobster. In addition to at-sea sampling, FSRS technicians also conduct plant samples to measure the size of lobsters caught. This provides data on size ranges in a given region. In 2011, FSRS and ESFPA deployed 6 temperature moorings along the Eastern Shore to collect temperature data in inshore lobster and mackerel habitats. In 2014, thanks to additional funding from Environment Canada, 8 more moorings were added to this project. Each mooring is replaced annually. These data will help to characterize annual cycles of temperature and added to a data base for long-term temperature trends. To help in the conservation and preservation of the Eastern Shore lobster fishery.